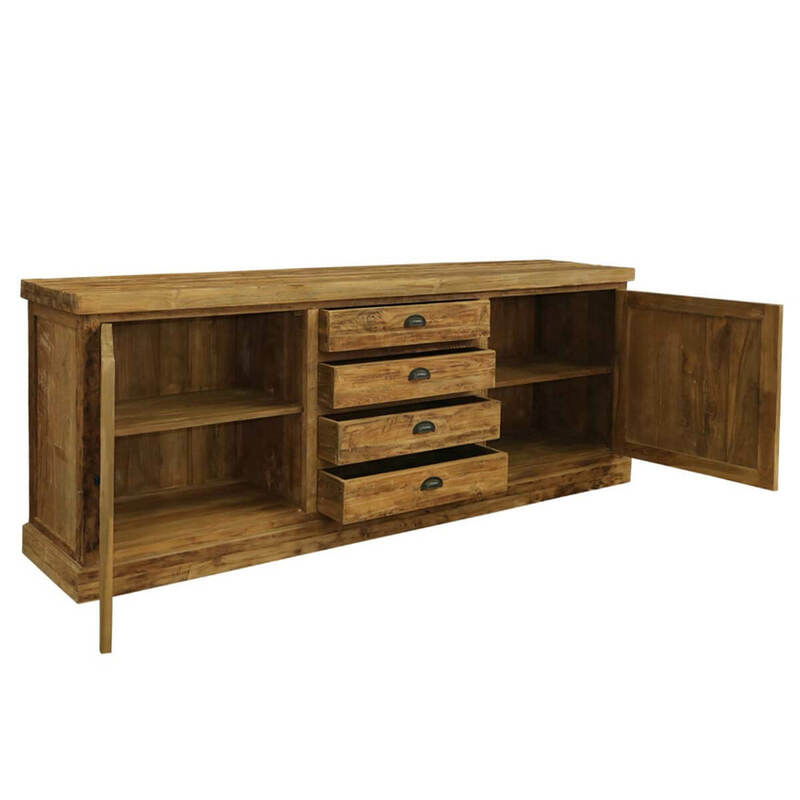 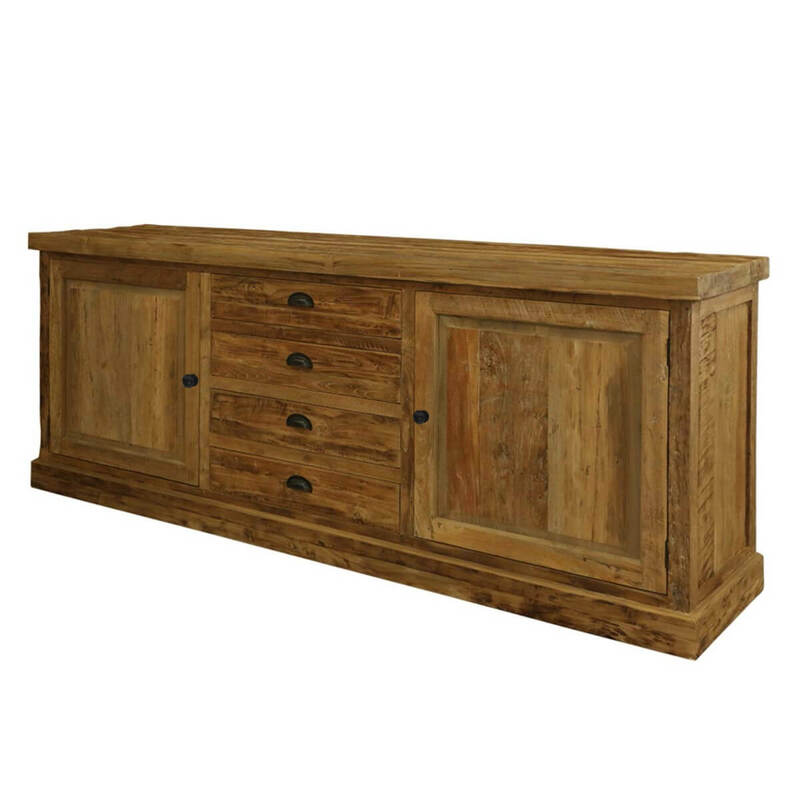 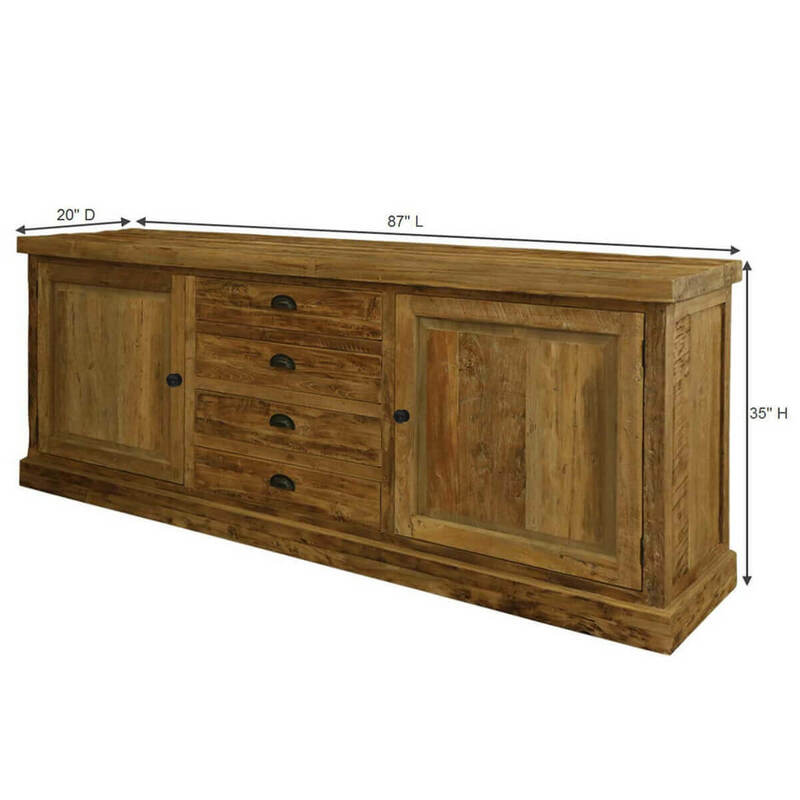 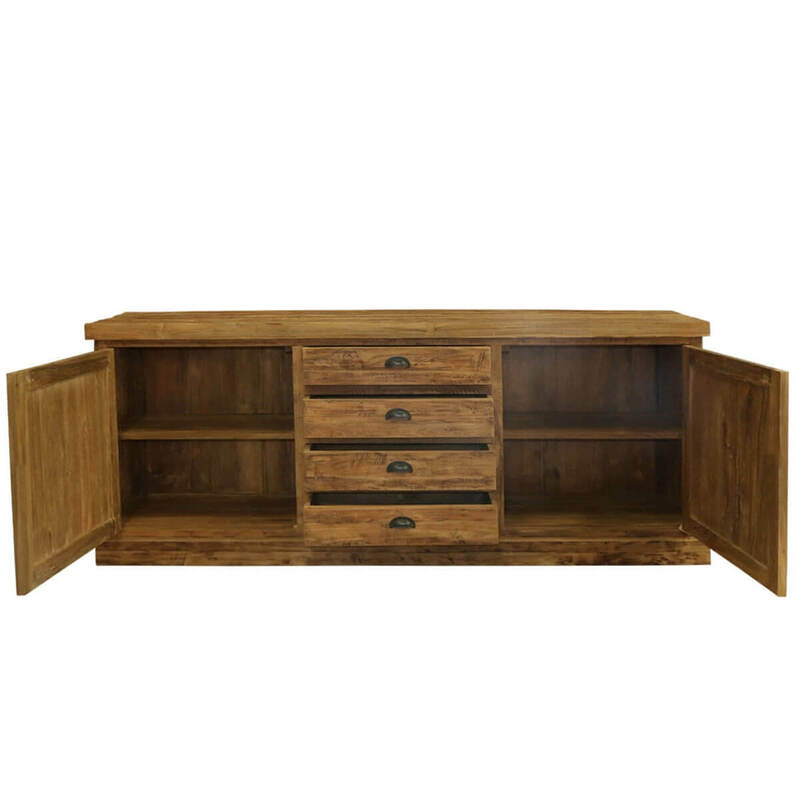 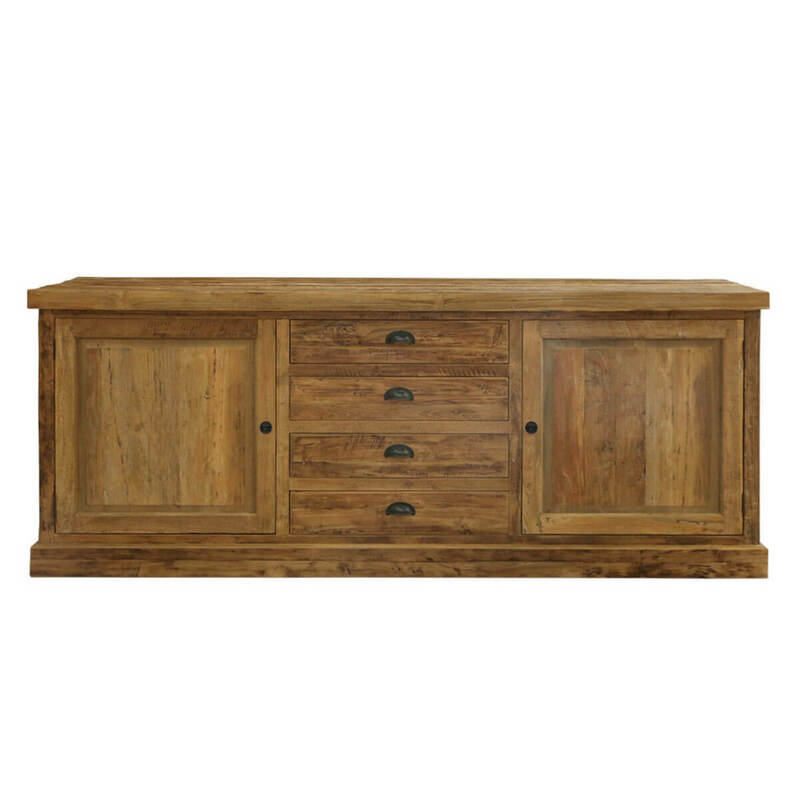 Full of rural charm, the Centralia Rustic Reclaimed Teakwood 2 Door 4 Drawer Large Sideboard Cabinet offers functionality and classy looks to blend in with any décor. 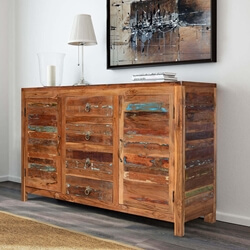 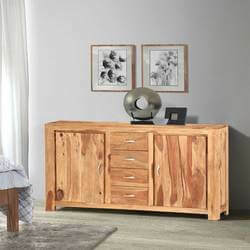 Its neat lines make it a lovely addition to modern décor while its rustic Teak wood construction and rich wood grain pattern in the natural finish make it ideal for traditional to transitional room décor. 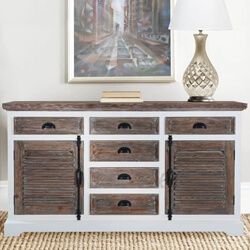 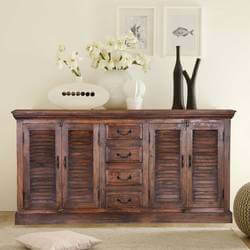 The buffet sideboard comes with two side cabinets and four center drawers, accented with dark hand-wrought metal hardware. 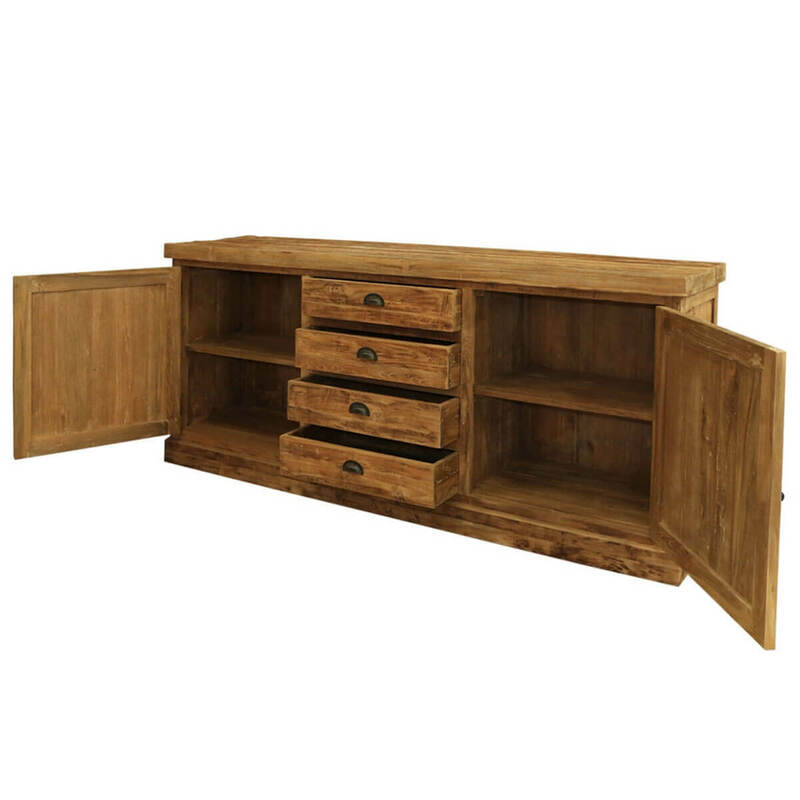 Keep smaller dining accessories and napkins in the drawers while the cabinets with two shelves each are perfect to stow away the dinnerware and serveware. 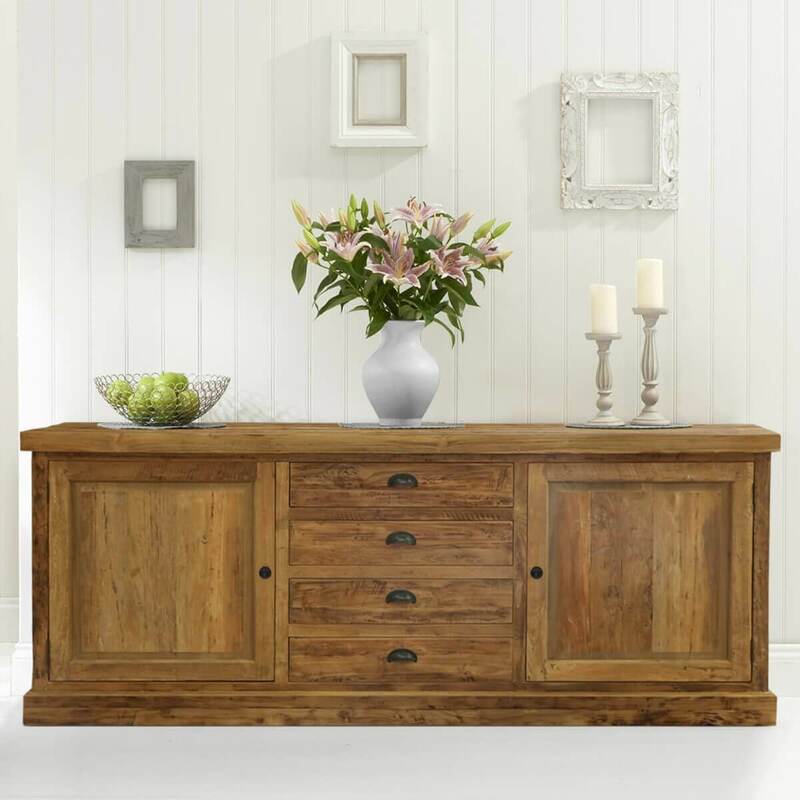 The top is perfect to display the buffet when guests come around and a good base to hold a vase with lilies and framed photos when it’s just you and your family. 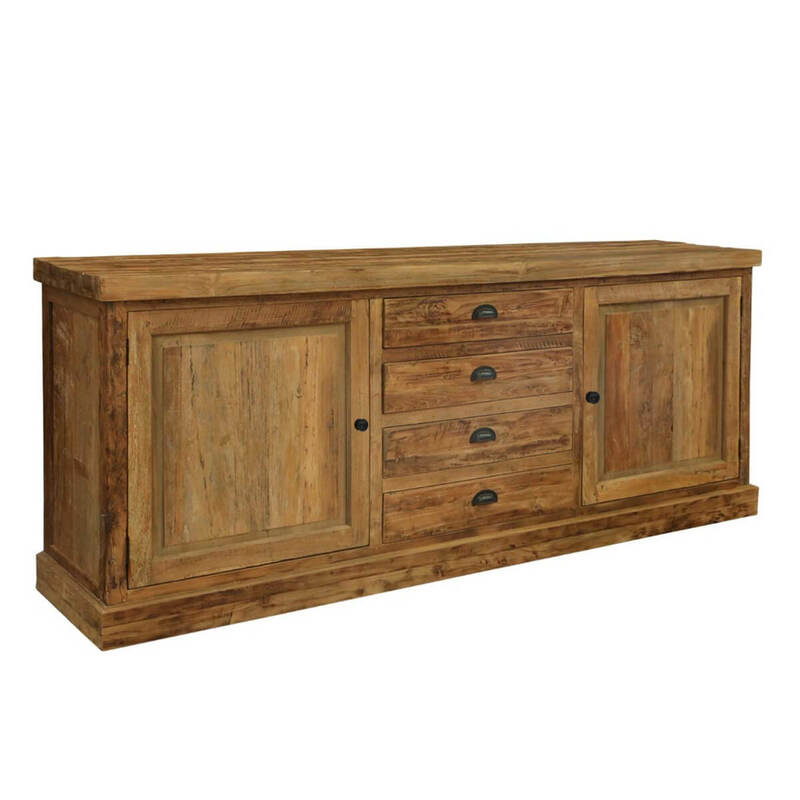 This dining room buffet is completely handcrafted from rustic solid Reclaimed Teak wood that not only makes it visually appealing but also durable to last a lifetime.